Urban League of Long Island – Empowering Communities. Changing Lives. With approximately three million residents, Long Island is home to world-class research, medical, and academic institutions that are fueling a new innovation economy. 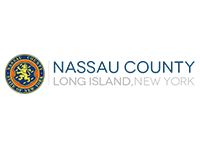 Despite the region achievements, the American dream that Long Island was built to fulfill remains out of reach for many residents, particularly Black families in Nassau and Suffolk counties. Equity—just and fair inclusion—is the key to success and prosperity for these families, communities, and the region as a whole. Closing racial income gaps would result in the average Black income increasing by over $22,000. Long Island as a whole stands to gain a great deal from addressing racial inequities—in 2014 alone, the region’s economy could have been nearly $24 billion stronger if its racial gaps in income had been closed. To build a sustainable Long Island economy, public, private, and nonprofit leaders across the region must commit to advancing policies and strategies that increase health equity, wealth, and economic resilience of all Long Islanders. Subscribe to our monthly newsletter for community updates and opportunities. We're on a mission to bring equity to our black communities through economic empowerment. 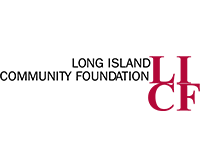 Since 1974, the Urban League of Long Island, Inc. has offered a broad range of services to individuals living and working on Long Island with the goal of aiding disadvantaged people to secure equity through economic self-reliance, education and civic policy.